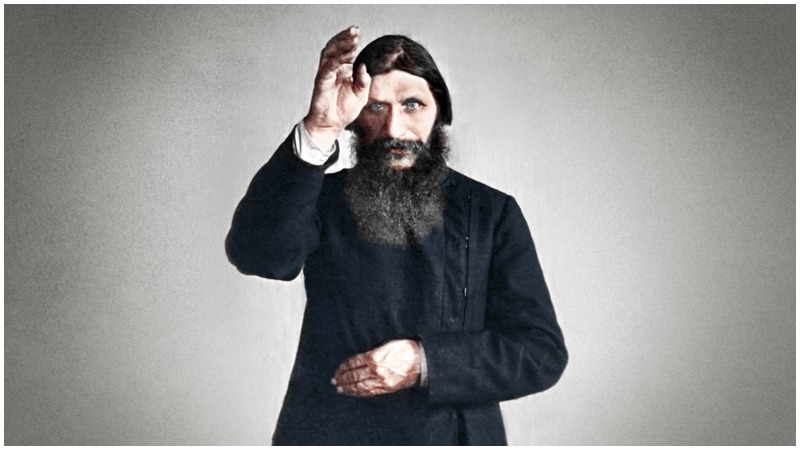 Rasputin, sometimes referred to as the "Mad Monk". Grigori Rasputin was assassinated more than a hundred years ago, but his life and death are still of interest to all Russian history lovers. He was called a prophet, saint, mystic, charlatan, by his admirers and detractors alike, and was treated accordingly. Rasputin’s life was indeed the subject of rumor. He had devoted fans, and his death is still surrounded by mystery. In December of 1916, the political climate in the Russian Empire was getting worse by the minute. Participation in WWI had led to heavy tolls among the civilian population that negatively affected the economic situation in the country. The gap between the wealthy and poor grew immensely causing distress and outrage among the populace. Discontent grew, as many of his ministers considered the Tsar a weak-willed man who was too-heavily guided and influenced by his wife Alexandra, Empress of Russia and her devoted friend Grigori Rasputin. They along with members of the Court felt disrespected by the fact that a Siberian peasant, who had been famous for his eccentric and dissolute behavior, none of which however was ever demonstrated in the presence of the Royals, dared to interfere with state affairs. 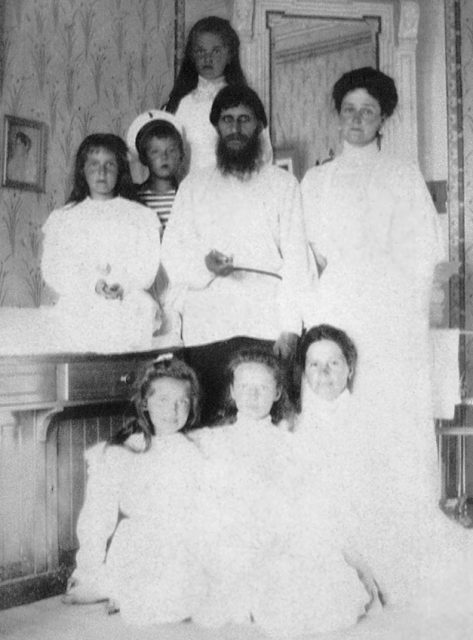 Empress Alexandra Feodorovna with Rasputin, her children and a governess. Soon the rumor about his close relationship with the Empress spread among the citizenry. It is still a popular subject of discussion, but the reason behind Rasputin’s frequent visits to the palace was much deeper than mere sexual affairs. 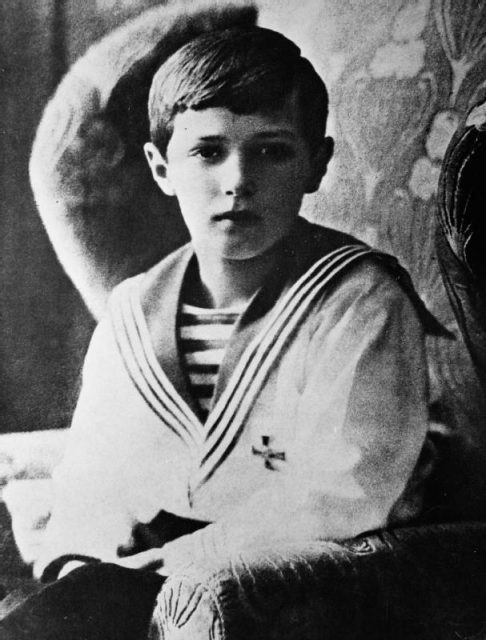 The truth had to be concealed from the public, as it was directly connected to Tsesarevich Alexei, the 11-year-old heir of the Russian throne. The boy suffered from hemophilia, a rare genetic disorder which meant that any minor cut or a bruise on his body could result in extensive hemorrhage and become deadly. The doctors were of little help and the Royal Family turned to Father Grigori for help. Alexei Nikolaevich, Tsarevich of Russia. Not only did Rasputin possess the knowledge to stop the bleeding and relieve the pain without any medication, but he also had the power to comfort the child and his mother. 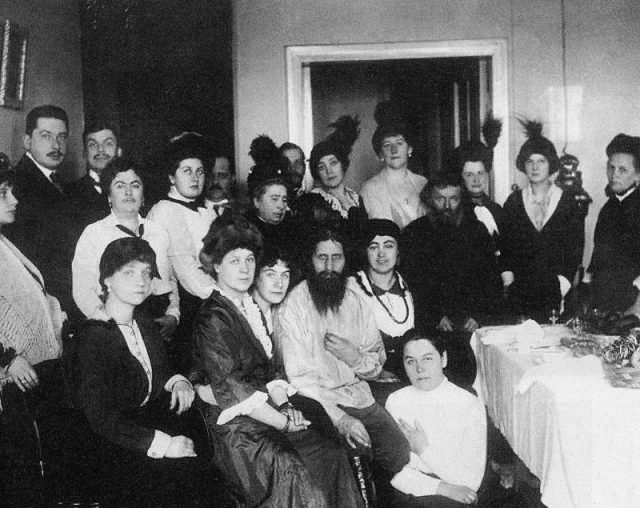 Thus, despite the dissatisfaction of the ministers, Rasputin stayed close to the Court. Amongst those who hated the old peasant was Prince Felix Yusupov. This spoiled young man belonged to one of the wealthiest families of Russia and was married to Princess Irina, the niece of Nicholas II. 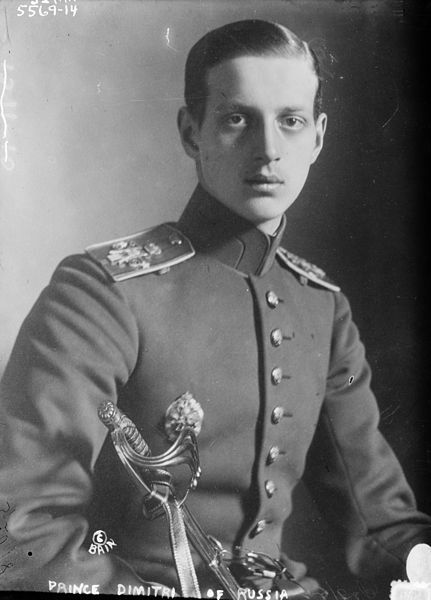 He coordinated with Grand Duke Dmitri Pavlovich, who was another member of the Royal Family, and the monarchist politician Vladimir Purishkevich to carry out Rasputin’s assassination. The plan was to lure Rasputin into Yusupov’s palace by offering him the chance to meet Felix’s wife, Irina. Late in the evening on December 30, 1916, Felix picked up the old man in his car and drove him to the palace. Upon arrival, Rasputin heard the “Yankee Doodle” tune playing from upstairs where, as Felix explained, Princess Irina was having a party. In actual fact, Irina was in Crimea, and the voices heard by Rasputin belonged to the conspirators. 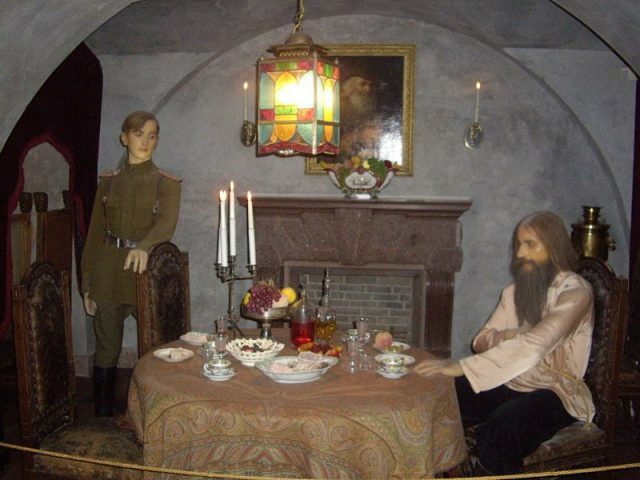 The plan was to bring Rasputin to the dining room in the basement and poison him with cakes and wine, which had been laced with cyanide. At first he refused but after some encouragement relented and had some. 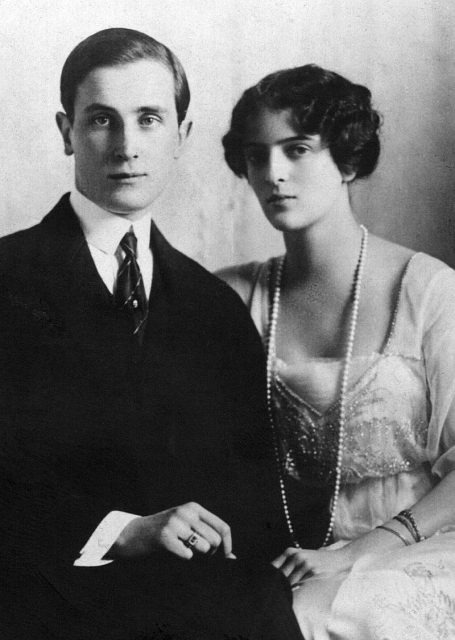 Princess Irina of Russia and her husband, Prince Felix Yusupov. What happened next was later described in Felix’s memoirs as “a nightmare.” Rasputin had three glasses of wine, and also ate the cakes but showed no signs of distress whatsoever. He noticed a guitar in the corner, sat down on a couch and asked Felix to sing for him. The scene lasted for almost two hours, and the young Prince began to feel anxious. Felix excused himself, went upstairs and reported to his fellow-conspirators that the poison hadn’t affected the victim. 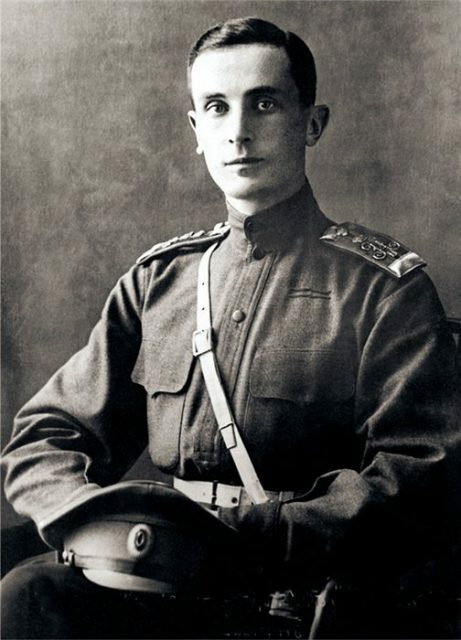 Grand Duke Dmitri Pavlovich handed him his revolver and Yusupov rushed back to the basement. 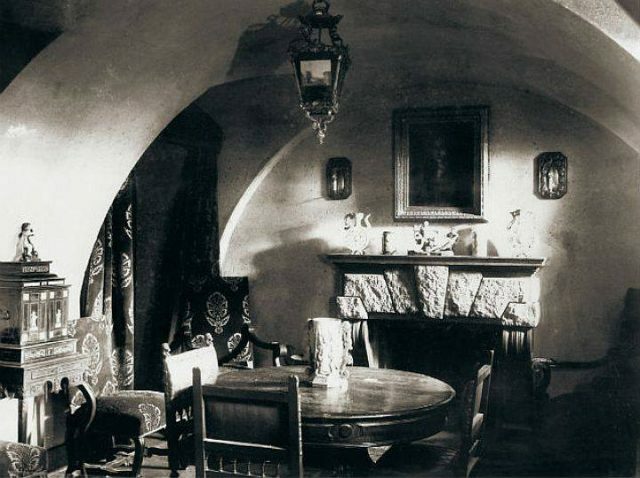 Basement of the Yusupov Palace on the Moika in St Petersburg, where Rasputin was murdered. According to his memoirs, Felix slowly pointed his revolver at the old man, who was staring at him dumbstruck and fired a shot. The rest of the group hastened into the room and saw Felix standing calmly over the supposedly dead body. The party then retired into the study, leaving the “dead” body in the basement. They were celebrating and cheering, but Felix had the irresistible desire to go back and look at Rasputin. He went downstairs, approached the body, and suddenly the unexpected happened. The old man that had been lying on the floor breathless, opened his eyes, sprang up, and grabbed Felix by the neck. It took a lot of effort for the young Prince to release himself from the deadly grasp of the old man’s hands. In despair, he fled back upstairs, and the heavy footsteps followed after him. Rasputin was dragging himself up the steps, and Yusupov could hear him rasping in agony: “Felix, Felix…” Prince Yusupov’s version of the events seems to be full of inaccuracies. If Rasputin had stared at him dumbstruck and basically let Felix fire a shot, then why would the old man fight for his life so desperately minutes later? According to Purishkevich, the Prince ran into the study exclaiming: “He’s alive! He is escaping! Purishkevich, shoot him! Shoot!” He was barely recognizable, the genteel, handsome face distorted with horror. 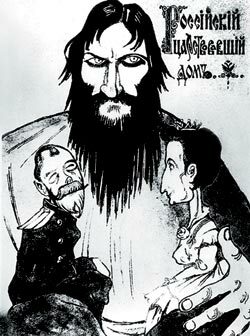 Caricature of Rasputin and the Imperial couple (1916). Purishkevich ran out of the palace through the back door and saw Rasputin racing away across the yard. From Yusupov’s memoirs, it appears that Purishkevich shot once, missed the target, then tried again and missed one more time. It was the third bullet that got Rasputin in the back, and the fourth one, that hit him precisely in the head. The old man fell in the snow, Purishkevich approached and kicked him in the temple. He would later provide a questionable description of his actions as Yusupov and he had someone important to protect. The fact is that Purishkevich was a terrible shooter who had never undergone military service of any kind. It’s still a mystery how after having failed the first two attempts from a much closer distance, this man executed the last two shots perfectly, sending the fourth bullet directly into the victim’s head. Neither Prince Yusupov nor Purishkevich mentioned in their exaggerated memoirs the fact that there had only been one flawless shooter in the palace that night… A man who took part in the Olympics of 1912, had an outstanding military education and, unlike any of the conspirators, had very personal reasons to hate Rasputin. It was the Grand Duke Dmitri Pavlovich himself, member of the Royal Family. 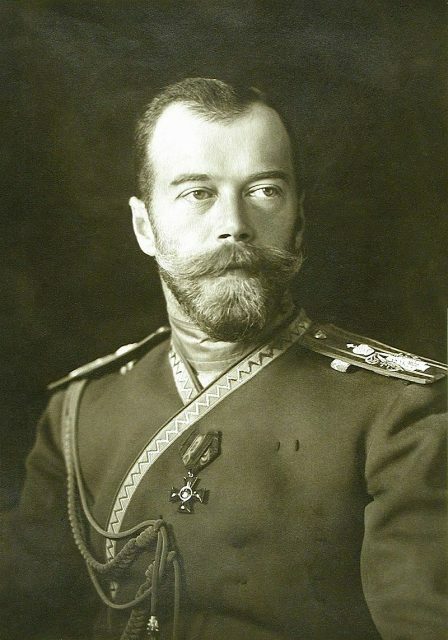 It is known that he had sought the hand of Princess Olga, the Tsar’s daughter, and that it was Rasputin who convinced Nicholas II to reject him. The sound of the shots in the palace yard attracted a policeman who was on duty nearby. 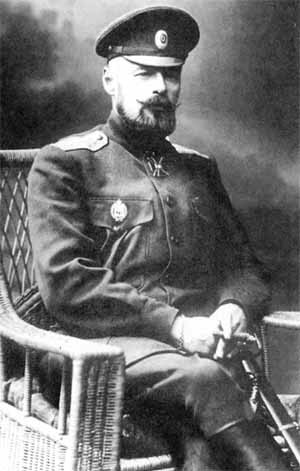 Grand Duke Dmitri Pavlovich. It’s possible to assume that the fatal shot came from his hand. What came next hardly makes any sense, as Purishkevich decided to call the police officer and tell him all about the murder. The officer listened carefully, went back to the police station and gave his testimony immediately. It was decided to act fast. 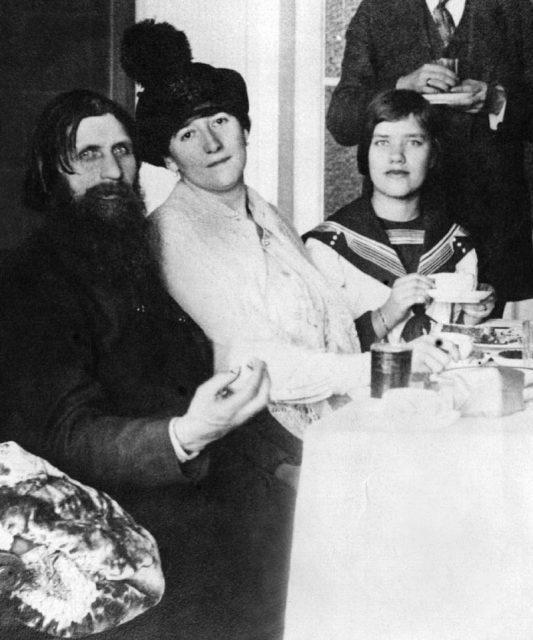 Rasputin with his wife and daughter Matryona (Maria) in his St. Petersburg apartment in 1911. Dawn was breaking when Purishkevich, along with the Grand Duke and another member of the group, wrapped the corpse in Rasputin’s fur coat and drove him away from the palace. They got rid of the body by throwing it in the river. Later, Yusupov and Purishkevich tried to obfuscate the trial and conceal the true sequence of dreadful events along with the participation of the Grand Duke. Yusupov wrote a letter to the Empress swearing that he had nothing to do with her friend’s death, but all in vain. Felix was exiled to live in the village. It was a mild punishment for an attempted murder and much less serious than that of the Grand Duke, who was sent away to serve in the army in Persia. 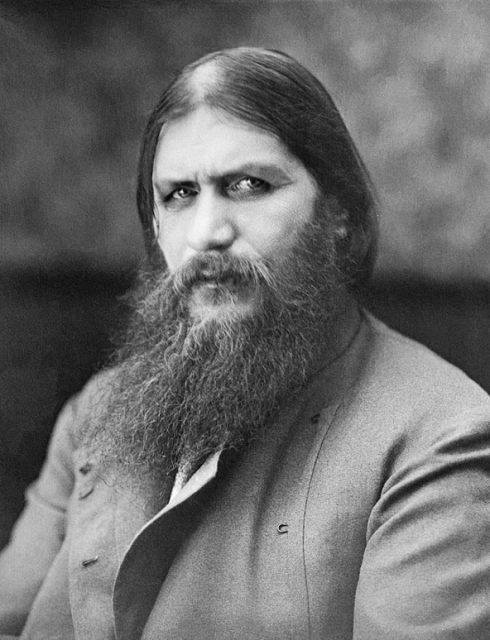 The Tsar’s relatives killed Rasputin 23 days after the letter had been sent. Nicholas II, Empress Alexandra, and their 5 children were brutally murdered by the Bolsheviks 19 months after. Julia Robakidze is a professional linguist specializing in English philology with a Master’s degree in Translation. She spends her time teaching English and exploring art museums around the world.